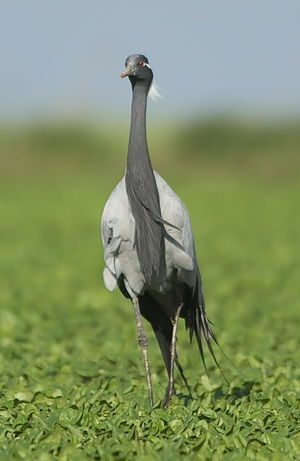 : 165 à 185 cm. 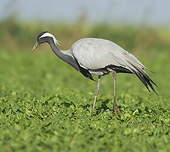 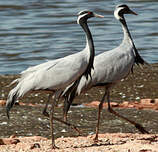 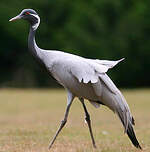 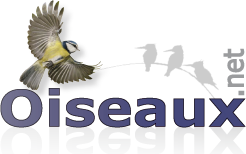 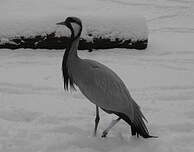 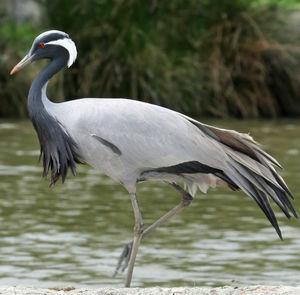 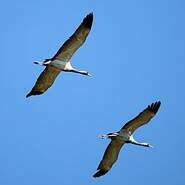 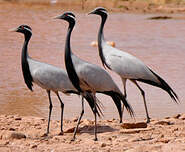 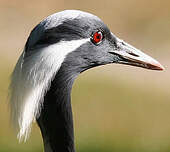 Demoiselle Crane (Grus virgo) is a species of bird in the Gruidae family. 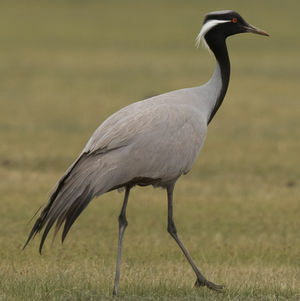 Savanna : Dry ; Shrubland : Temperate ; Grassland : Temperate, Subtropical/Tropical Dry ; Wetlands (inland) : Permanent Rivers/Streams/Creeks (includes waterfalls), Seasonal/Intermittent/Irregular Rivers/Streams/Creeks, Bogs, Marshes, Swamps, Fens, Peatlands, Permanent Freshwater Lakes (over 8ha), Seasonal/Intermittent Saline, Brackish or Alkaline Lakes and Flats ; Rocky areas (eg.